2158 delegates of the Chinese People's Political Consultative Conference (CPPCC) and 2948 Deputies of the National People’s Congress (NPC) convened in the Great Hall of the People in Beijing in the first fortnight of March 2019, for their respective annual plenary sessions. The plenary sessions set the agenda for the year ahead and accorded formal approval of the entire 89 million-strong Chinese Communist Party (CCP) to the policies, programmes and budget of the CCP leadership for the coming year. Earlier in March this year, China successfully concluded plenary meetings of the Party’s top two bodies, which set the agenda for the year ahead. 2158 delegates of China's top political advisory body, the Chinese People's Political Consultative Conference (CPPCC) gathered in the Great Hall of the People in Beijing from March 9 - 11, 2019. The CPPCC’s responsibilities include supervising the United Front Work Department (UFWD) and overseas work relating to China’s ethnic minorities, enacting regulations and policies for China’s ethnic minorities, interacting with noncommunist entities and forging relations with foreign political parties, creating pro- Beijing lobbies abroad etc. The plenary sessions are intended to formalise approval of the 89 million-strong Chinese Communist Party (CCP) to its leadership’s policies, programmes and budget for the coming year. 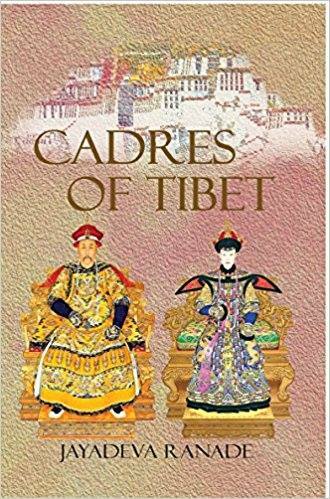 There has been a visible acceleration over the past many months in the efforts of the Chinese authorities to diminish and undermine the XIVth Dalai Lama’s influence over Tibetans inside China. Additionally, this year is marked by a number of anniversaries in China's political calendar including the 70th year of the founding of the People’s Republic of China (PRC) in October, the founding anniversary of the People’s Liberation Army Navy (PLAN) in April as well as the sensitive thirtieth anniversary of the Tiananmen ‘incident’ in June and sixtieth anniversary of the XIVth Dalai Lama's flight from Tibet on March 10. The latter two would be cause for the most unease to China’s leadership. The current strain in Sino-US relations has added to Beijing’s worries. 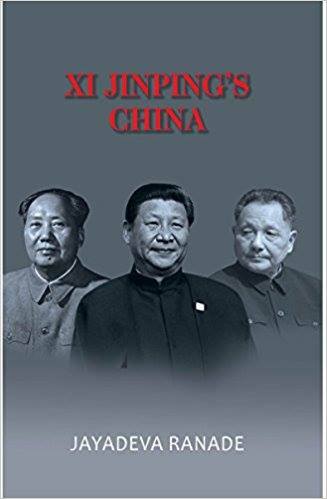 2019, which also heralds China's 'Year of the Boar' from February 5, will probably be a difficult year for the Chinese Communist Party (CCP) leadership and for Chinese President Xi Jinping, who has concentrated power unprecedented since the time of Mao Zedong. Domestic issues like slowing down of theeconomy and maintenance of stability will get further accentuated and behigh priorities on the leadership's agenda.The apparent bipartisan US 'Trade War' against China, correctly interpreted by the Chinese as intended to prevent the country's rise, will add to the pressure. China's technology-centered 'Made in China 2025' programme is already adversely impacted with advanced European nations joining the US to deny China hi-technology and its telecommunications companies access to new markets and upgraded 5G networks. 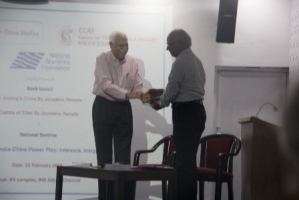 In a backdrop of unsettled global geopolitical equations and absence of a single dominant world power willing to exercise its influence to prevent the unilateral alteration of the established status quo in the Indo-Pacific region, India-China relations are presently at a crucial stage. Competition for strategic space between the two has been increasing as a ‘rising’ China tries to expand its military, economic and diplomatic influence across South Asia and the Indo-Pacific. 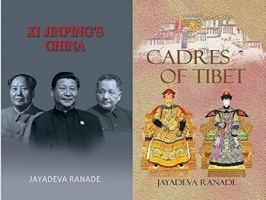 The emergence simultaneously of strong leaders in Japan and India each with an articulated vision for his country has, however, made clear that they would be unwilling to acquiesce to China’s dominance. Sino-Indian tensions have predictably increased as both countries are trying to find new accommodations to reset the relationship. IS XI JINPING REALLY AS POWERFUL AS HIS IMAGE SUGGESTS? Chinese President Xi Jinping’s appointment to China’s three top posts, of General Secretary of the Chinese Communist Party (CCP), Chairman of the Central Military Commission (CMC) and China’s President, for the first time simultaneously in thirty years clearly indicated the strong support he received from the Party’s veteran and senior cadres. Since his appointment to these three posts at the 18th Party Congress in November 2012, within a short span of five years Xi Jinping concentrated unprecedented power and sought to build himself an image virtually on par with Mao Zedong. Today, he heads fifteen Central Small Leading Groups – the most powerful decision making bodies in communist China. Amidst speculation that Xi Jinping may have stepped beyond the mandate initially given to him – of restoring the CCP’s legitimacy as the sole ruling party and promoting Party ideology -- recent events suggest that Xi Jinping has perhaps begun going beyond that. Chinese State Councillor and Minister of Public Security Zhao Kezhi arrived in India on October 22,for visits to Delhi and Mumbai at the head of a 20-member security delegation. It included 13 officials of China’s Ministry of Public Security (MPS) and 3 from the Ministry of Foreign Affairs (MoFA). He later travelled to Bangladesh where too he had high-level meetings including with Bangladesh Prime Minister Sheikh Hasina.India and Bangladesh are both, coincidentally, headed into national elections in the coming months. Major changes in the international geo-political landscape, anticipated since the global economic downturn in 2008, are now beginning to occur. The Sino-US relationship, one of the world’s most important in the past nearly four decades, is undergoing fundamental change with US President Donald Trump translating into action the apprehensions of the US establishment about China’s rise and potential challenge to US primacy. He is the first US President since Nixon to begin altering the nature of US relations with China. High level cadres of the Chinese Communist Party (CCP) do not often travel outside Beijing unless it is to ‘Red Revolutionary’ historical sites or because of a natural calamity or an important event or meeting. The visits, therefore, in the short span of a month by the second and fourth ranking members of the CCP’s Politburo Standing Committee (PBSC) – two among the seven who ‘rule’ the People’s Republic of China – are unusual and significant. At the least it suggests that the top echelon of the CCP is according new, enhanced priority to the Tibet Autonomous Region (TAR). Chinese Premier Li Keqiang visited TAR in July while Wang Yang, PBSC member and Chairman of the Chinese People’s Political Consultative Conference (CPPCC) which China’s minority nationalities affairs and religious activities, travelled there a month later in August 2018. India and China have planned to exchange a few important visits in the remaining months of this year. An Army Commander from India is scheduled to travel to China in a few weeks, the first visit by an Army Commander since 2015, followed by National Security Advisor Doval and possibly another high level visit. Chinese Defence Minister General Wei Fenghe, who was on a 4-day visit to India from August 21, is the first of the important visitors from China. He is to be followed in a couple of months by China’s Minister of Public Security Zhao Kezhi, who has worked closely with one of Chinese President Xi Jinping’s closest associates and current right hand man Li Zhangshu. With the status quo under challenge and competition for strategic space intensifying, especially among the major regional powers in the Indo-Pacific, the region has seen an increase in tensions. China’s ‘rise’ has fuelled its ambition to become a global power. The perceived decline of the US, its reduced interest in the region and its reluctance to back even treaty allies, like Japan and the Philippines, has encouraged China and exacerbated the situation. Chen Min’er, Politburo member and recently appointed Party Secretary of the centrally administered Chongqing Municipality, said on the sidelines of the NPC session on March 6, 2018, that investigating former Politburo members Bo Xilai and Sun Zhengcai had removed "major political hidden dangers for the party" and that "They both are the source of the pollution of the political ecology, and they massively harmed Chongqing's officials." Last week there was a major, though anticipated, development in China’s internal politics with the announcement that term limits on the posts of China’s President and Vice President would be abolished. Removing the limitation on these tenures establishes Xi Jinping’s pre-eminent stature and allows him to continue interminably subject to his health. The decision potentially has immense implications and long-term repercussions. The political uncertainty and social instability in the Indian Ocean archipelago of the Maldives has the potential to increase tensions between India and China. Since its independence in 1966, when India was the first country to recognise it, the Maldives has been perceived as within India’s sphere of influence and sought and received India’s assistance in times of dire need. From 2015, PLA officers began being removed from the Provincial Party Standing Committees. Indications are now surfacing that this policy is under review and possibly being reversed. A major reversal in this policy has, however, become evident from December 2017 since when PLA officers have begun being brought back into the Provincial Party Standing Committees. The 73-day face-off between India and China at Doklam that ended on August 28, 2017 marks an important juncture in India-China relations. The nature of the military deployments, kind of Chinese propaganda offensive not witnessed in over 40 years, and actions of the Chinese Foreign Ministry and Chinese Embassy in New Delhi, set it apart from earlier stand-offs. Already holding over fourteen formal positions -- more than any other CCP leader so far – CCP CC General Secretary Xi Jinping has, as anticipated, emerged considerably stronger from this Congress. By skilful use of the sustained anti-corruption campaign he has eliminated opposition in the Party and military and drastically reduced the influence wielded by his predecessor once removed, Jiang Zemin. In September 2017, China’s official media publicised that more than 176 CCP cadres equivalent to the rank of central Vice Minister and above had been dismissed and arrested for corruption and that more than 14,000 officers of the People’s Liberation Army (PLA) had been similarly dismissed. At least 120 officers of the People’s Liberation Army (PLA) of and above the rank of Major General have been dismissed and retired. The week long (October 18-24, 2017) 19th Congress of the Chinese Communist Party (CCP), which was held in Beijing, concluded as anticipated with Xi Jinping emerging considerably stronger. For those watching the Congress for clues as to Xi Jinping’s policies towards China’s ethnic minorities and especially Tibet and Xinjiang, however, there appears little prospect of any relaxation of controls. An indication was the sharp drop in the number of ethnic minority cadres elected to the new 19th Chinese Communist Party (CCP) Central Committee (CC). The week long (October 18-24, 2017) 19th Congress of the Chinese Communist Party (CCP), which was held in Beijing, concluded as anticipated with Xi Jinping emerging considerably stronger. His contribution to Chinese communist ideology was recognised and unanimously approved for incorporation into the Party Constitution as ‘Xi Jinping Thought on Socialism with Chinese characteristics for a New Era’. He is the first CCP leader to have his contribution, attached to his name, enshrined in the Party Constitution while still alive. This places it next in heft to those of Mao Zedong and Deng Xiaoping, especially with the Chinese media already having begun to headline it as “Xi Jinping Thought”! The crucial 19th Congress of the Chinese Communist Party (CCP) opened in Beijing on October 18, 2017, amidst stringent security restrictions in Beijing and other major cities in China. Nearly a thousand foreign reporters from 130 countries are reported to be covering the Congress. The Congress was preceded by other important meetings, namely the 7th and last Plenum of the 18th CCP Central Committee (CC), and of the Party’s powerful anti-corruption body the Central Discipline Inspection Commission (CDIC) chaired by Xi Jinping’s close associate and Politburo Standing Committee member, Wang Qishan. The 19th Party Congress, crucial for Xi Jinping achieving his agenda for ‘national rejuvenation’, opened on October 18, 2017, amidst stringent security in Beijing and other major Chinese cities including the autonomous regions of Tibet and Xinjiang. On September 6, 2017, the People's Liberation Army (PLA) and People's Armed Police Force (PAPF) announced that they had elected a total of 303 Delegates to the 19th National Congress of the Chinese Communist Party (CCP). The PLA elected 253 Delegates to represent it at the 19th Party Congress, which will open in Beijing on October 18, 2017. A list identifying the 253 individuals together with almost all their designations is appended. An analysis of China’s propaganda effort and its state-owned media’s coverage between June 16 and August 1, 2017, during the ongoing face-off between Indian and Chinese troops on the Doklum Plateau, yields some interesting insights. Preparations for the 19th Congress of the Chinese Communist Party (CCP) which, according to credible reports is likely to be held towards the end of October 2017, are well underway. The election of 2,300 Delegates to the Party Congress from 40 electoral blocs has virtually been completed. 2,270 Delegates were elected to the 18th Party Congress in November 2012. 1,909 Delegates for the 19th Party Congress representing Central Departments directly under the CCP Central Committee (CC), Central State organs, the Central Enterprise system and the provinces and centrally-administered Municipalities, have been elected. Since his appointment simultaneously to China's three top posts of General Secretary of the Chinese Communist Party (CCP) Central Committee (CC), Chairman of the Central Military Commission (CMC) and President of China at the 18 th Party Congress in November 2012, Xi Jinping has steadily acquired and consolidated greater authority. In addition to the post of Commander-in-Chief of the People's Liberation Army (PLA) that he assumed on April 20, 2016, Xi Jinping heads a majority of the Central Leading Small Groups (CLSGs). The South China Morning Post (April 23) revealed that China has launched at least 10 experimental "scavenger" satellites into space in the last decade. The Emirates News Agency on April 22, reported that the UAE had been elected Vice Chairman of the Board of Directors of the Belt and Road Initiative Tax Administration Organisation.. The official Global Times (April 22) said data shows there is an increasing number of overseas Chinese students coming back to China to work. TAR Party Secretary Wu Yingjie presided over the fifth Plenary Meeting of the TAR Party Committee in Lhasa on January 9. The meeting was attended by, among others, Lobsang Gyaltsen, Qi Zhala, Ding Yexian, Zhuang Yan, Danke, Jiang Jie, Penpa Tashi, He Wenhao, Pema Wangdui and Liu Jiang. The TAR Party Committee met on December 30, to review the 2018 reports and the draft economic, social and budgetary plans for 2019. The meeting was presided over by TAR Party Secretary Wu Yingjie and attended by Che Dalha (aka Qizhala), Chairman of TAR People’s Government, Deputy Secretary of TAR Party Committee, Ding Yexian, Secretary of Party Group of the TAR’s Political Association, Deputy Secretary of TAR Party Committee and Vice Chairman of TAR People’s Government, and other TAR leaders like Jiang Jie, Penpa Tashi, He Wenhao, Pema Wangdui and Liu Jiang. TAR Party Secretary, Wu Yingjie led a delegation consisting of officials from TAR People’s Government and Party Committee to Shandong Province from November 27-28, and held a symposium in the province to discuss ‘aid Tibet.’ The TAR Party Secretary was accompanied by Lobsang Dhondup, Liu Jiang, Wang Jun, Zhang Yanqing and Lobsang Jigme. Shandong Provincial Party Secretary Liu Jianyi, Deputy Secretary and Governor Gong Zheng and other leaders welcomed the delegation from TAR. Deputy Secretary of Melrokunggar County Party Committee, Phurbu, inspected Dezhong Monastery on 6th November and met the Temple Management Committee. The Chief of Minzu and Menba Township of the county accompanied him. The Director of the Temple Management Committee reported the current situation and developments regarding the monastery to the Deputy Secretary. He was briefed on the initiatives taken by the Management Committee as well as shown the up to date accounts, finances, party building works and future plans. The Deputy Director acknowledged the Committee’s progress and asked the members to carry out educational activities/engagements, which encourage monks and nuns to adapt to the socialist society, abide by the law and maintain social stability. Phurbu added that safeguarding the socialist system, reunification of the motherland, nationality unity, frequent inspections and strengthening of the Management Committee should be given due importance by the Committee. On October 20, The TAR Party Committee met on October 19 to convey the CCP CC’s decision against former PLA Chief and former General Fang Fenghui for ‘serious violations of law.’ The meeting unanimously supported the Central decision was timely and wise and stating that the former chief’s case was thoroughly investigated and dealt with. The meeting was presided over by TAR Party Secretary Wu Yingjie and attended by top TAR Officials and provincial military leaders. Wu Yingjie urged all officials in TAR to strictly abide by the Party’s political discipline, to be resolutely loyal to the Party and to stringently implement the ‘Four Consciousness’ and ‘Four Confidences’. On September 20, the TAR Tourism Commission and Lhokha (Ch: Shannan) Municipal People’s Government’s Tourism Commission, Wuhan Cultural Exchange Centre and Chengdu Airlines hosted the opening ceremony of the Winter Tour and inauguration of the Lhoka-Wuhan Direct Flight at Gonggar Airport. Ji Yue, Deputy Director of the TAR Tourism Commission, said the opening of the new route will bridge the government, tourism, civil aviation and other departments of the two provinces. The TAR PSB recently launched a “3-minute police circle” initiative as part of a new series of surveillance measures. Police Stations under this scheme will issue ID cards to residents for ‘free’. The new Saikang Convenience Police Station, at the intersection of Beijing Middle road and Qingnian Road in Lhasa, is part of the “3-minute police circle” initiative and in addition to public security tasks assists tourists visiting the city. An example was cited of two Swiss tourists who were lost and arrived at the Saikang Convenience Police Station. The Police Station got in touch with one Sonam Dorjee, Dean of Southwest University for Nationalities and an English major, who arrived in 3 minutes and guided the tourists to their destination. The official Tibetan media report said Sonam and his colleagues make at least forty times a day to convenience police stations if necessary. Wang Yang made a visit to Tibet from August 24-26, in the capacity of the Chairman of the 13th Chinese People's Political Consultative Conference (CPPCC) National Committee, and Member of PBSC. He visited Chamdo and Lhasa. Wang stated that with Xi Jinping’s Socialism with Chinese Characteristic in the New Era as the guiding principle, all the TAR Officials should conscientiously implement the General Secretary and the Party’s strategy of managing Tibet and Tibet affairs, also to closely focus on safeguarding the ‘Motherland’s reunification’, vanguard and oppose splittism/separatism, to strengthen national unity and to focus on improving the livelihood of people. In seven years of operation the Lhasa Natural Gas Station has replaced 210,000 tons of standard coal, reducing 400,000 tons of carbon dioxide and 145,000 tons of dust. From the winter of 2017 to the spring of 2018, the Lhasa gas station had a peak gas consumption of 200,000 square meters and a total gas consumption of 31 million square meters. Before the arrival of the ‘heating’ season this year, the Lhasa Natural Gas Station will start the second phase of the expansion and reconstruction project in order to meet the gas demand of the vast number of residents in Lhasa. Zhang Guangyan, station director of the Lhasa Natural Gas Station, said that using natural gas for heating and cooking had never been thought of in the past. Today, 200,000 residents in Lhasa enjoy the changes brought about by natural gas and green energy. The TAR Human Resources and Social Security Department reportedly issued 877,000 social security cards from June 2017 to April 2018. The card with an installed chip is a multipurpose feature created to manage social security by recording a person’s movements and for payment purposes, medical treatment and as electronic vouchers. The card identifies the holder’s name, citizenship number, personal photo, social insurance contributions, personal status etc. Late Panchen Lama’s daughter in Tibet, is CCP behind the visit? A recent blog by Claudi Arpi claimed the daughter of the late tenth Panchen Lama Rigzin Wangmo was in Tibet after her last visit on June 20, 2013 when she and her mother was welcomed warmly by a huge gathering of Tibetans. She visited two of the most important monasteries in Lhasa, Ramoche and Jokhang and also Tashilhunpo in Shigatse, the monastery of the Panchen Lamas. On International Children’s Day on May 31, TAR Party Secretary Wu Yingjie visited a Bilingual kindergarten in Chengguan district of Lhasa. Posters highlighting the contrast between “old and new Tibet” were pasted in the corridors of the school. TAR Party Secretary Wu Yingjie advised the children to understand the trust and loyalty of the Party and to remember Chinese President Xi Jinping's message of safeguarding the motherland's unity. Deputy Secretary of TAR Party Committee and Chairman of TAR People’s Government Che Dalha aka Qi Zhala visited Yumai village in Lhunze County of Lhoka from May 19- 20, 2018. The purpose of the visit was reportedly to inspect the progress of the Xiaokang Village (Moderately Prosperous Society). The Vice Chairman of the TAR Party Committee and Director of TAR Public Security Liu Jiang was invited to give a talk on ‘National Security’ at the TAR Party School on April 12. The Party Secretary of Tibetan Autonomous Region (TAR), Wu Yingjie gave an exclusive interview to Xinhua News Agency where he reiterated Xi Jinping’s idea of creating Tibet as a model of national unity through rural revitalization strategy by the preserving the ‘old Tibet spirit’ and striving to build a well-off society. He said the project should give them a sense of China as ‘happy home builder’ and that can be achieved by implementing the development project with utmost care. The youth representatives/delegates from TAR to the two sessions of the CPPCC and NPC upon their return held a seminar for young students in Lhasa entitled “New age dreams for the Plateau.” The delegates shared that they gained a deeper understanding of the spirit of the two sessions by participating, and they in turn are “committed to take greater political responsibility.” They urged the students to do the same. The students expressed their enthusiasm by adding youthful energy for the realisation and rejuvenation of the Chinese dream. Deputy Secretary of TAR Party Committee and Secretary of TAR CPPCC Ding Yexian, TAR People’s Government Vice Chairman Shi Moujun, TAR CPPCC Vice Chairman Gao Yang, TAR Education Department and other relevant department leaders went on an inspection trip to Tibet University in Lhasa on March 7, 2018. A ‘study and learning’ session was held in Lhasa on February 24, 2018 for the TAR’s delegates to the NPC and CPPCC meetings being held in Beijing from March 2. The meeting was presided over by Zhen Wanming, member of the TAR CP CC Standing Committee and Minister of the TAR Organization Department and also spoke to the TAR delegates. Pasang Tashi, Member of TAR Party Committee and Propaganda Department, Duo Tuo, Deputy Director of the Standing Committee of NPC, and Lobsang Gyurmey, Vice Chairman of TAR Political Consultative Conference spoke on the spirit of the 19th Party Congress and relevant issues concerning TAR. The Public Security Bureau of TAR held a meeting of all the Chiefs/Heads of the Public Security Offices across the Region on February 6, 2018. The TAR Party Committee, TAR People’s Government, and TAR Politics and Law Committee jointly convened the meeting. The primary objective of the meeting was to study and discuss ways and means to implement General Secretary ‘Xi Jinping’s Thought on Socialism with Chinese Characteristics in the New Era’. The Executive Vice Chairman of TAR Party Committee and the Chairman of TAR Stability Maintenance Department, Zhuagyan Zai made an investigative tour to the Stability Prevention and Control Centres in Lhasa on January 06, 2018. He examined the work reports presented by the officials and deployed new stability maintenance measures. An article in the state-owned Global Times on December 25, 2017 said that a high priority item for 2018 on the agenda of China's annual central conference on rural work, which will set the tone for next year's agricultural and rural development and is expected to convene in Beijing soon, is revitalising the countryside. It said, "poor villages along the borders of Southwest China's Tibet Autonomous Region with India, Nepal, Bhutan and other neighboring countries may receive more attention than usual". The article said "Tibet has achieved rapid economic growth over the past few years, but many people in the region, which is locked away among the Himalaya Mountains, are still suffering from poverty". The Chairman of Lhasa Municipality, Tibet Autonomous Region (TAR) UFWD and TAR People's Government, Choedak (Ch: Qi Zala) presided over the Executive Meeting of TAR People's Government on September 13, 2017 to primarily discuss economic policies for the 13 th Five-Year Plan Period. It was agreed to establish a “Lhasa Comprehensive Bonded Area” after getting a nod from the State Council. Research on Tibetan medicines, development of the information and technology industry and other matters were discussed at the meeting. On August 1, 2017, the TAR Regional Party Committee met to study the importance of implementing the speech given by General Secretary Xi Jinping on July 26. TAR Party Secretary Wu Yingjie presided and stressed that leading cadres at the provincial and ministerial levels TAR should seriously study the speech and uphold the spirit of socialism with Chinese characteristics. The speech emphasized the importance of educating and broadening the minds of Party members and cadres. Radio Free Asia (RFA) reported on July 10, 2017, that Tibetans living in Lhasa and in western China’s Qinghai and Sichuan provinces celebrated the Dalai Lama’s birthday the previous week with prayer gatherings and public picnics in open defiance of a ban by Chinese authorities. In Lhasa, Tibetans conducted prayers and openly visited area monasteries, including the city’s central Jokhang temple, despite the presence of plainclothes security personnel and other informers stationed nearby. The Standing Committee of the 10th National People’s Congress of the TAR held its 34th meeting on the morning of June 14, 2017. The meeting was convened and presided over by the Chairman of the TAR People’s Congress Lobsang Gyaltsen (ethnicity: Tibetan), who replaced Pema Choling as the Chairman in January 2013. Lobsang Gyaltsen (Losang Jamcan) is also a Deputy Secretary of the TAR Party Committee. Nagchu Party Secretary Sangay Tashi inspects monasteries in Nagchu; China considering turning entire Tibetan plateau and surrounding mountains into a huge 2.5 million sq km park national park to protect “the last piece of pure land”. Claims this would help ease water supply concerns of neighboring countries and will also help implementation of ‘One Belt, One Road’; 12.8 billion yuan invested in Lhasa-Nyingchi Railway project; A China Daily article claimed that under India’s illegal rule, the residents of “Southern Tibet” lived difficult lives, faced various kinds of discrimination, and looked forward to returning to China; On April 19, 2017, China’s government formally gives Chinese names to six places in Arunachal Pradesh; While on a three-day visit to Nepal commencing March 23, 2017, Chinese Defence Minister General Chang Wanquan pledged a grant of Rs 3.04 billion (Chinese Yuan 200 million) to the Nepal Army. High-level meetings and inspections in TAR; Symposium held in Lhasa to promote rule of law; Former top Chinese spy in Tibet investigated for alleged corruption; Britain shrugs off China’s warnings over Dalai Lama at music festival; Mayor of Ningbo City, Zhejiang province’s inspection tour to Tibet’s Nagchu Prefecture; Rinpoches training in Lhasa; China equips all temples in ‘Tibet’ for TV propaganda education; Sun Chunlan: Tibetan Buddhist circle should resist separatist activities; Party Secretary of Lhasa Municipality attends law abiding and patriotic awards function; Lhasa Nyingchi high-grade highway to open by the end of July; China opens new route for Indian pilgrims to Tibet. “Countryside Campaign” in Nagchu Prefecture; Tibetan mother of two sets fire to herself outside government building; Stability Maintenance Meeting in Lhoka ahead of Religious Festival; Sun Chunlan’s inspection tour to News Centres; Training of troops in Nagchu for road construction security; CCP CC’s Organization Department allocates 5 million Yuan party membership dues to quake-hit Tibetan areas; Xi Jinping urges lawful management of religious affairs; China rewards no-protest Tibetan monasteries, subjects others to “patriotism education"; China invests in Tibetan Buddhist schools to produce next generation of religious leaders; Shigatse Housing Projects; TAR Vice Chairman meets Agricultural Bank of China Delegates; One billion Yuan investment to construct small towns in TAR; SHIGATSE-Leadership Appointments and Dismissals.